Dennis Sheehan class yesterday. 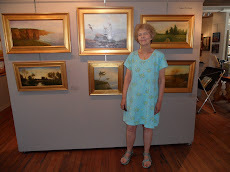 Dennis is a famous contemporary tonalist artist from Bedford, NH. Dennis is currently giving classes the second Tuesday of each month at his studio.. Class is from 9:30 AM to 4:30 PM and includes a demo in the morning and student painting with critiques in the afternoon. I had missed the last class due to travel and was really looking forward to going yesterday. Watching a demo and seeing a painting like the one below develop is amazing to watch. 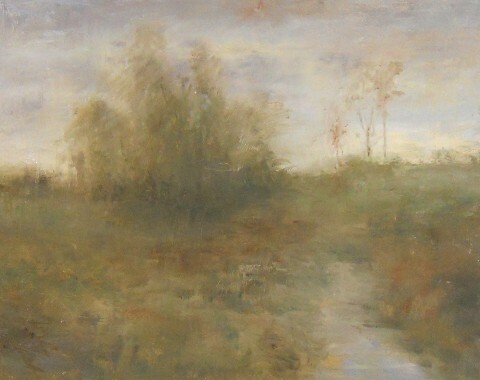 Dennis has a unique way of inventing compositions by making random paint strokes on a canvas and then letting the marks suggest the scene that appears. This looks like a finished painting but for Dennis this is an under painting and will receive many carefully chosen adjustments. Below is my attempt at a landscape painting done without any reference material. This was done in a few hour and if I decide to finish the painting it will need lots more work. Let me know what you think. Should I finish it? 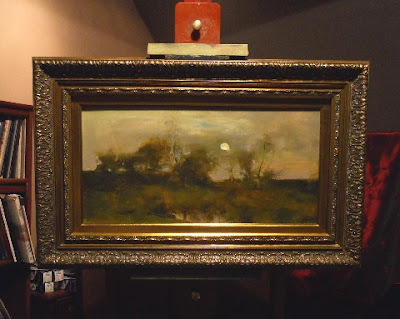 Maybe paint over it (the joy of oil paints) and just try again?